Based in Market Bosworth since 2003, we have been providing high quality engineering to many international clients and markets, using CNC technology and machinery. Pro-Tech CNC Limited was established in 2003 by Steve Hatcher & David Betteridge in a small workshop in Stoke Golding. In 2009, the company installed Ian Burton as their new Sales Director and investor, with the vision to introduce new systems to the business to help production and sales. In 2013, we saw the retirement of David Betteridge, a co-founder of the company, thanking him for his involvement and guidance throughout his time with Pro-Tech CNC. Pro-Tech CNC Limited are able to machine components from 6mm to 300mm in diameter and up to 500mm in length. We have always taken the opportunity to invest in new machinery with the introduction of the facility for 5 AXIS Machining. Today Pro-Tech CNC is a highly respected company supplying a wide range of markets including the Printing, Aerospace, Commercial and Marine industries. We at Pro-Tech CNC believe our knowledge of working with all types of materials from Mild Steel through to Exotic Stainless helps us to attract the type of work we do today. 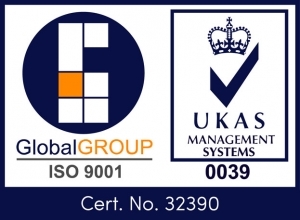 Having acquired numerous years working in the Aerospace Industry Steve and Dave have instilled the need for quality engineering, the company has been accredited with ISO 9001:2008 certification. In 2010 Pro-Tech CNC Limited purchased a three quarter shareholding in Savage Marine Ltd, a leading supplier of LED Lighting Solutions to the Super Yacht Industry for nearly two decades. XYZ Movement of 1270mm x 508mm x635mm and 24 station Tool Changer and fitted with Haas TR-160 two-axis tilting rotary table to work in conjunction with the 5 Axis facility. With 76mm Max Bar Dia / 10″ Chuck / Max Turning Dia 310mm / Turning Length of 620mm. With 75mm Max Bar Dia / 10″ Chuck / Max Turning Dia 300mm / Turning Length of 500mm. With 40mm Bar Capacity / 6″ Chuck / Max Turning Dia 200mm / Turning Length of 250mm. With 45mm Bar Capacity / 6″ Chuck / Max Turning Dia 356mm / Turning Length of 356mm. With 65mm Max Bar Dia / 8″ Chuck / Max Turning Dia 350mm / Turning Length of 410mm. With 45mm Max Bar Dia / 6.5″ Chuck / Max Turning Dia 300mm / Turning Length of 350mm. With 50mm Max Bar Dia / 8″Â Chuck / Max Turning Dia 300mm / Turning Length of 350mm. XYZ Movement of 406mm x 304mm x254mm and 10 Station Tool Changer. XYZ Movement of 508mm x 405mm x 356mm and 24 Station Tool Changer. Programmable Saw with 260mm Bar Capacity. All of our machines have FANUC or SINUMERIK CNC Control Systems.